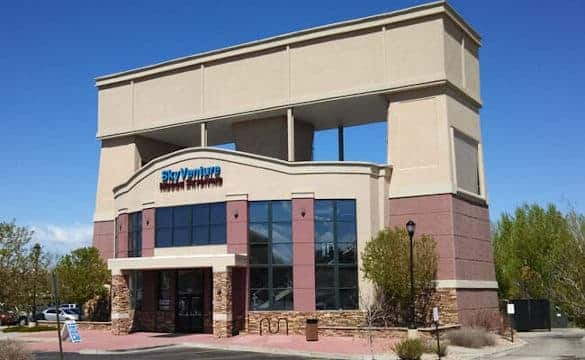 As of July 17th, 2014 SkyVenture Colorado was officially re-branded as iFLY Denver. Similar again to iFLY Orlando, iFLY Denver was originally built by private owners as a franchise location and has since been bought by iFLY and is now living under the iFLY World branding. 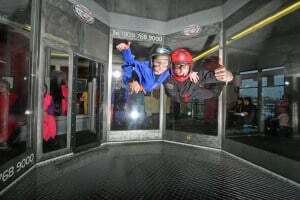 iFLY Denver (formerly SkyVenture Colorado) is one of the early design recirculating wind tunnels made by SkyVenture. The tunnel features an 8 sided flight chamber similar to that of iFLY Utah or iFLY Orlando. While older, the tunnel is still plenty powerful for learning higher speed free flying. We brought friends from France and did not have a prior appointment. The staff eagerly welcomed them and set them up with flight time plus the virtual reality, How to Train Your Dragon” experience. After their long day in the car, they made a beautiful memory. Thank you, Claire!! As a return flyer I've had the unfortunate experience of always being on time or early for a reservation only to then sit and wait 30minutes to an hour before they even offered the new flyers their class prior to flying. There's no excuse, we don't pay to come watch your employees fly around for a half hour of OUR time, not Yours. I won't be returning and won't continue bringing new flyers. Amazing fun adventure. Thank you to all the workers from the front hostess to the instructors. Made this experience 1 in a million. Will definitely be coming back!! & soon. Rich took great care of our group. Rich was fun and full of good instruction to maker your time fun and safe. A GREAT way to have fun at any age. Highly recommended for fun loving thrill seeking families!